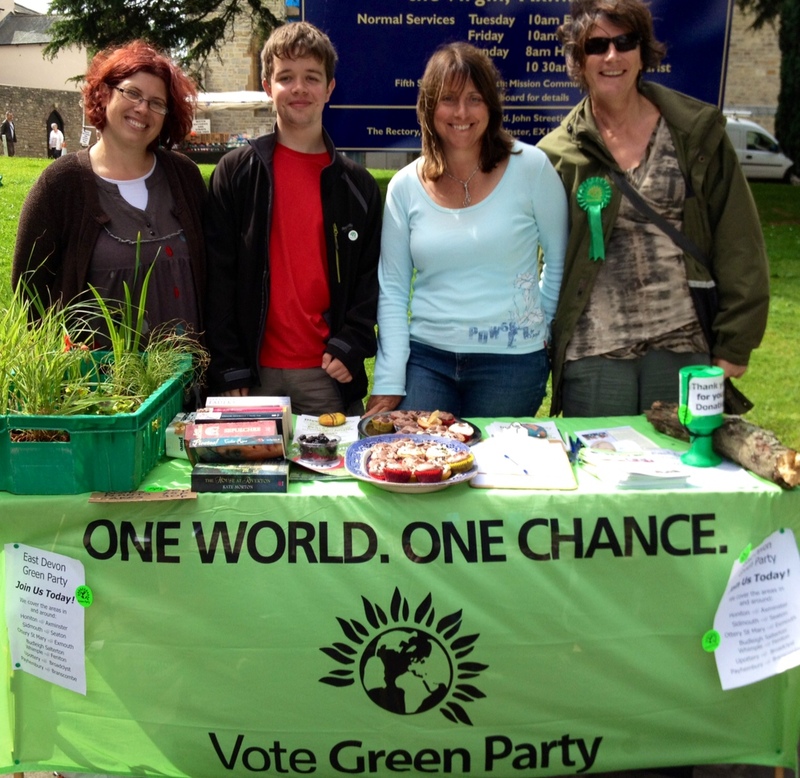 The East Devon Green Party is almost three years old, our membership is increasing every month, we now have three Parish Councillors (Honiton, Broadclyst and Axmouth) and we’ve been standing candidates in every election for the past three years. We’ve all worked hard during 2012 and now it’s time to relax, celebrate and enjoy some time with each other. We’ve booked Twyford House in Sidmouth again – some might remember our well attended (delicious) Curry Night there when we set up the group or the Open Mike event we had a couple of years ago. Our Christmas Party is on Saturday 8th December from 6pm – everyone is welcome, members, supporters, friends etc. Children especially welcome (which is why we started it earlier this year). There’s no entrance charge but we are planning on having a bit of fun with Ana’s Auction! The theme is ‘Items Surplus to Requirements’ so please bring along anything you no longer need that may sell in an auction and help us raise funds for our election campaign. It’s a ‘Bring & Share’ meal so please bring a dish of food to add to the buffet and let us know if you are coming. Contact me here. We’re hoping to have some entertainment arranged but if you can sing or play a guitar, again let us know as we’d love to hear you play! We’ve organised a bar license too so local, wines, beers etc will be on offer. With Jane Embleton and Mandy Pullen. A series of 8 Saturday workshops for women to be run through 2013. 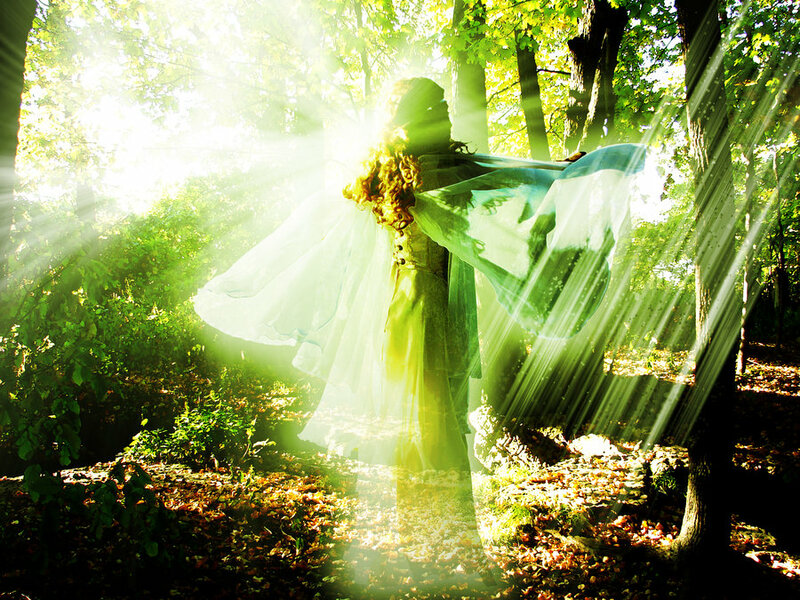 The first workshop, celebrating Imbolc, will take place at Eastcott Barn on February 2nd. With all these events – we all try to car share so if you can offer a lift or need one, please let us know. A charity rugby match will be played at Tiverton Rugby Club, Bolham Road, Tiverton on Monday 8 October. The ‘Rugby Against Domestic Abuse’ match will raise funds for the local domestic abuse service – Stop Abuse For Everyone. The evening will commence at 6pm with a tag rugby event for local primary schools. Four schools are involved and the winning team will receive a cup. The main match will kick-off at 7pm with the cup being awarded to the winning school at half-time. The Charity Auction will start at approximately 8.30pm with auction lots including a six month Zest Membership at Mid Devon Leisure Centres, tickets for Exeter Chiefs, a day at Yarak Birds of Prey, and a pamper session at The Stable Club Health Centre, Exeter. Entry is £2 on the gate with under 12’s at 50 pence. Everyone is welcome. Beehive Bash – Breaking News!!! The acclaimed Devon stand-up poet Jackie Juno is coming to perform THIS Saturday at the Beehive Benefit Bash event to raise funds to build a community centre here in Honiton. Jackie is part of a great line up including local musicians Sweet Black Angels and Blimey Oh Riley playing at the Boston Tea Party on Saturday 11th August from 7.15pm. 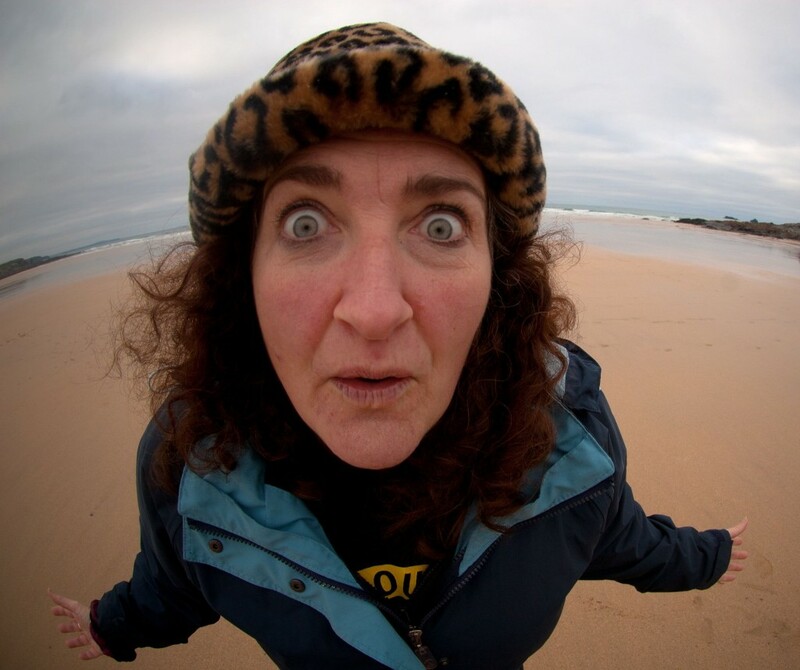 Never one to follow convention, Jackie draws upon a lifetime of wayward experiences to bring you a dynamic, hilarious and thought-provoking show, waxing lyrical about everything from tweezers to human rights to paleolithic cave art. She is Grand Bard of Exeter and lives on the edge of Dartmoor with her rock-god guitarist husband and young daughter, and large collection of unusual hats. Tickets are £5 in advance (£7 on the door) from Wendy’s Cookshop, Honiton Toy Shop, Boston Tea Party and Honiton Tourist Information Centre. 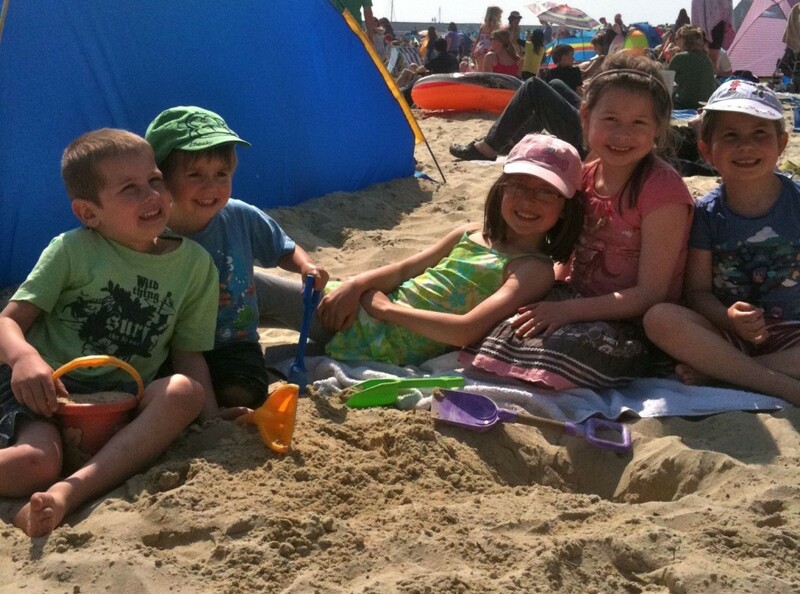 So what have you got planned for the summer with the kids? I’m trying to find out what’s on here in east Devon. Be handy if there was one place it was all listed or a booklet like other areas do. I saw one for Taunton the other day – really good idea for busy parents planning what to do this summer. I will list a few I know about here then please add comments if you know of any more and I’ll add them on this blog. Let your friends know about this page too so we can all share ideas. Thanks. Really pleased to see cookery classes happening in Honiton, courtesy of Wendy Le Masurier at Wendy’s Cookshop on the High Street and the latest topic to be covered is bread making. 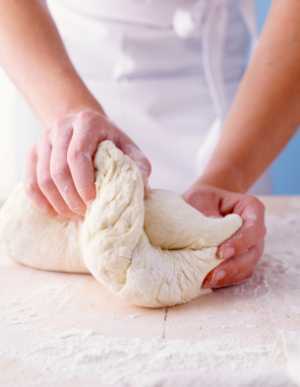 The Bread Making master class class takes place from 3.15pm Thursday 31st May 2013 at The Holt, 178 High Street, Honiton and costs £25. Angus McCaig is taking the class and the afternoon will be an excellent opportunity to learn all the techniques for bread making including shaping the dough, kneading skills, baking and experiencing different types of dough. 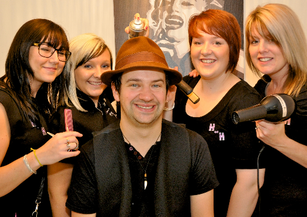 You will also be able to ask all the questions you need answering and learn the professional tricks of the trade! Call Wendy for more info or to book on 01404 45940 and please mention you heard about the class on my blog! Thanks. 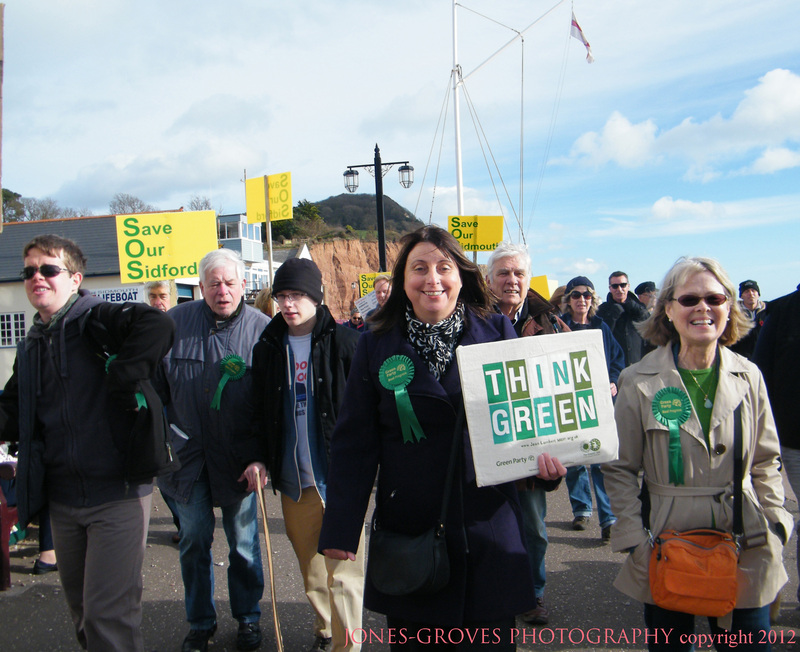 Here are some events happening in East Devon during Climate Week (12th – 18th March 2012). 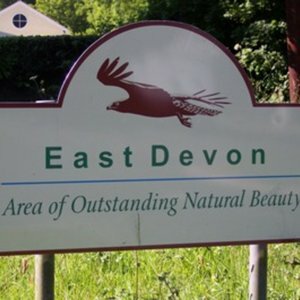 Just letting you know about an event coming up in East Devon in February 2012. As ‘recycling champion’ for Honiton, my role on the town council is to support events like this and this brings a smile to my face as I’ve wanted to do one of these myself for a little while. So I’m incredibly glad that Honiton resident Karen Berger has put this idea together and I hope she gets a huge amount of support to make it successful. 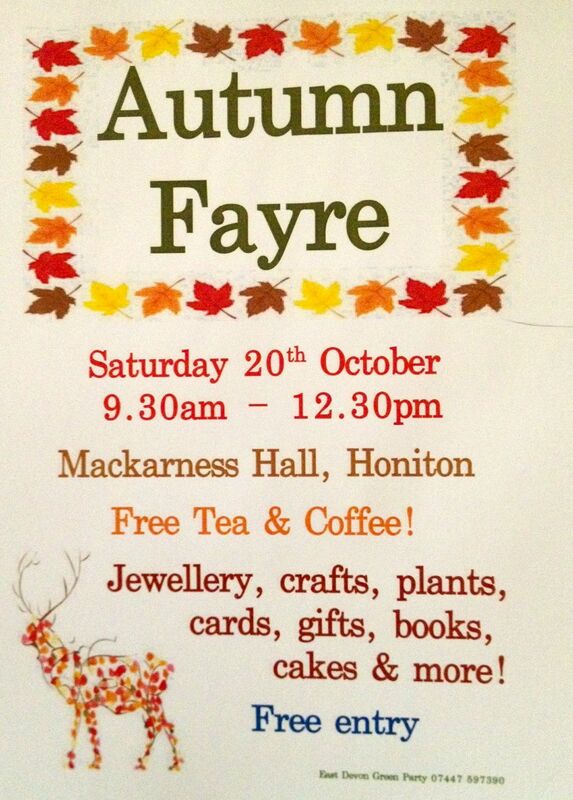 The new Transition Town Honiton group will also have a stall there on the day. 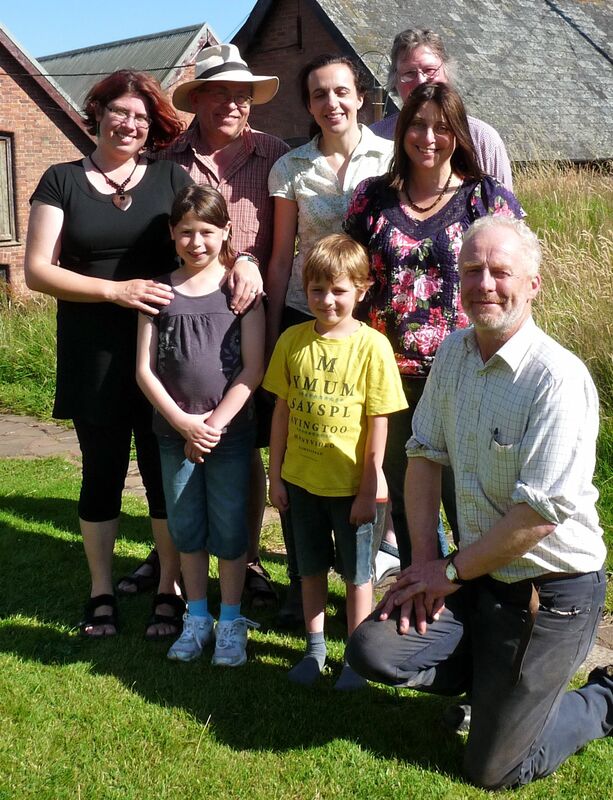 Welcome to Swap and Share, another step towards a sustainable future. Many people already use Freecycle, via the internet, on a regular basis to pass on their unwanted items to others nearby, and to get things that they need. Now, for those who don’t have access to the internet, or have not heard of Freecycle, we are running a Swap and Share event in Honiton, so that everyone has access to quality goods at no cost. 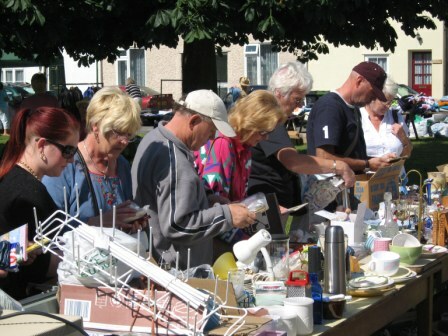 Simply bring any unwanted goods to Mackarness Hall next to St Paul’s church on the High Street on Saturday 25th February, pay £1 entrance fee, (towards the hire of the hall) and leave them with us, to be shared among anyone who comes along on the day. Even those who don’t have any goods to donate can choose items for themselves: as long as it’s kept out of landfill, it’s a win-win situation!